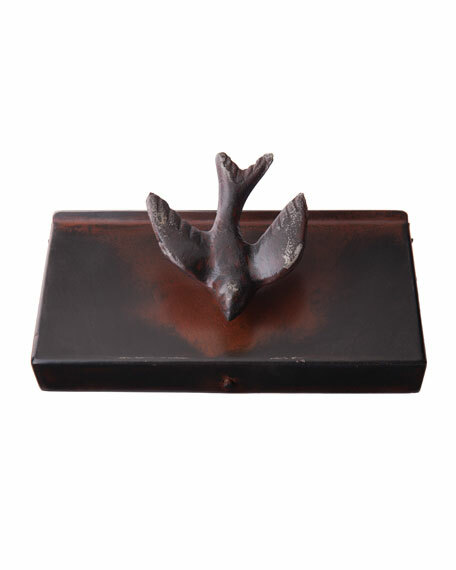 Hinged box with wax cast golondrina, divider, and leather insertfor change, playing cards. 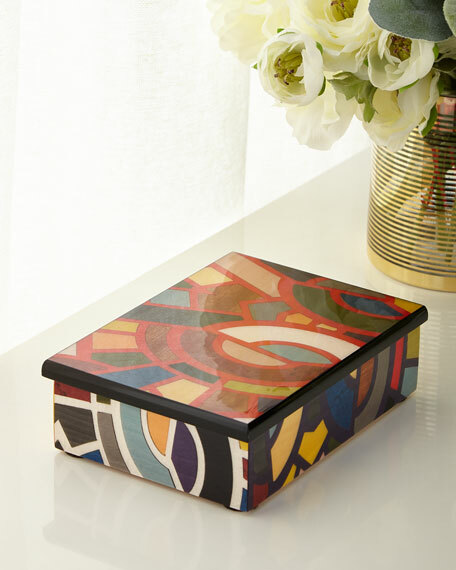 8"W x 4"D x 3"T.
Handcrafted porcelain box edged in 14-karat gold. From the Flora & Fauna Collection. 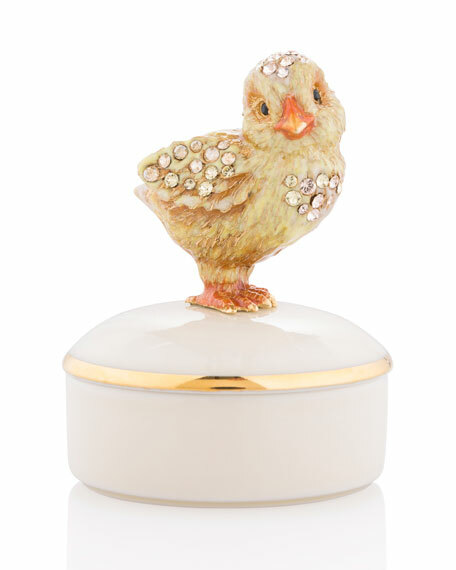 Hand-enameled metal chick. Swarovski crystal detail. 2"Dia. x 3.3"T. Hand wash. Made in the USA. Handcrafted Elliott seahorse box. 3"W x 2"D x 6"T. From the Oceana Collection. 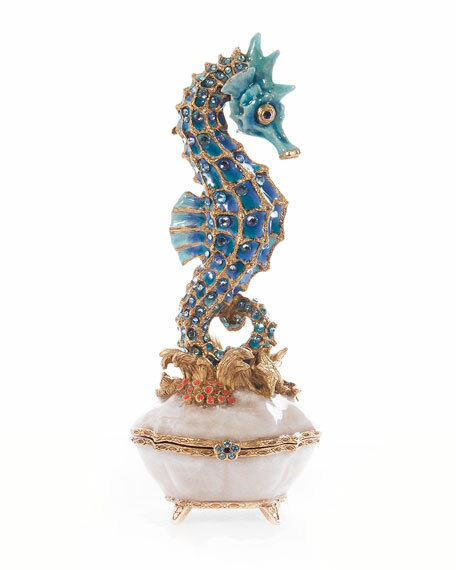 Intricately hand-enameled and hand-set with Swarovski crystals. 14-karat matte gold-plated detail with touches of antiquing. Crafted of lead-free metal. Made in the USA. 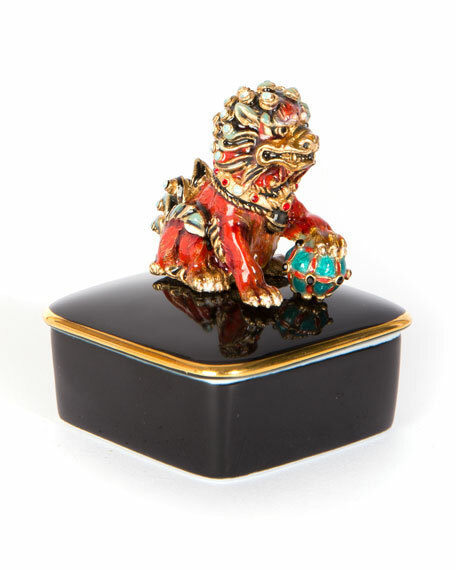 Handcrafted porcelain box with Foo Dog on top. Zinc embellishment with a 14-karat gold finish. Hand-enameled and hand-set with Swarovski crystals. 2.3"Sq. x 3"T. Hand wash. Imported.